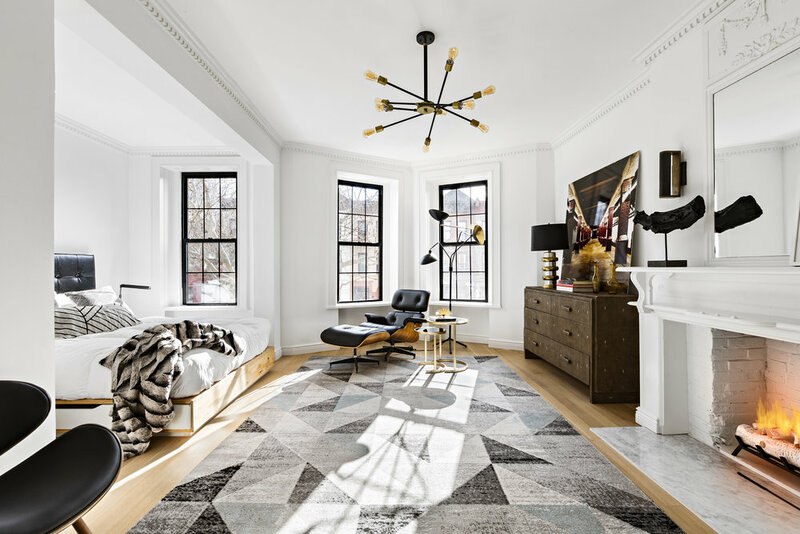 If you’re looking for the perfect town home in Bed-Stuy then you’re in luck as, The Gold Group has just listed this sprawling two family townhouse located at 663 Putnam Avenue. The stately 19’ wide, 4 story townhouse boasts up to 5 bedrooms, 4.5 baths, and is currently divided into a fabulous owners triplex and a 1 bedroom floor through with separate entrance, perfect for use as a guest suite or profitable rental opportunity. The home also includes a 4’6 foot heated swimming pool, so you can stop heading to the packed SoHo house this Summer. Designed by architect Joseph S. Stevens in 1899, it was recently restored and features original hardwood floors on the parlor and garden level, as well as marble gas fireplaces throughout. 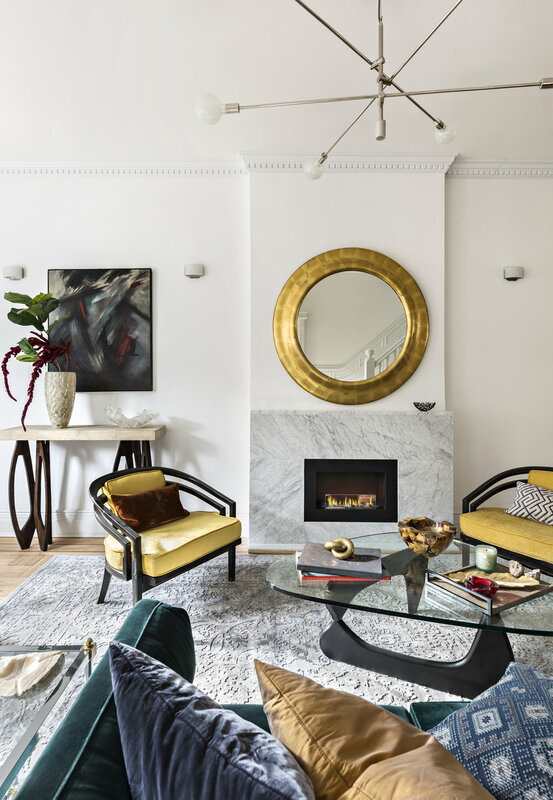 The townhome, owned and designed by a former Vogue editor, has recently underwent a gut renovation with not a single expense spared. Through the dining room, you enter a sprawling renovated kitchen with top of the line appliances and chef’s kitchen, ideal for entertaining and hosting next year’s New Year's party! The kitchen opens up to a private terrace overlooking your landscaped backyard garden with private heated pool. One flight up are two spacious bedrooms, with matching on suite white marble bathrooms. Both rooms have ample closet space and each has its own fireplace. While the 4rd floor master suite has it’s own sky-lit marble bathroom with his and hers sink, deep soaking tub and oversized rainfall shower. Through the master bathroom is a home office, which can be used as a fourth bedroom, library or den. Behind the library is an oversized, walk-through, windowed closet with seating and storage. 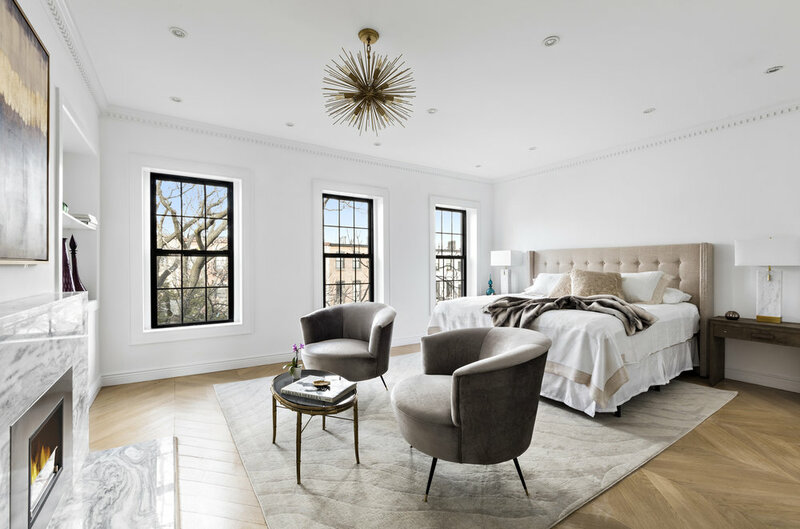 The home also includes a 1,000+ square-foot garden unit that is a floor-through, bright one-bedroom with a renovated bathroom, with it’s original hardwood floors paired with the top of the line Bosch kitchen appliances and a laundry machine. And it’s very own 734-square-foot cellar with 7-foot-high ceilings and washer and dryer. The open studio space, currently dedicate for use by the Owner’s Triplex is perfect for a home gym, screening room, or playroom. David Balk and Steve Gold at Corcoran are the listing agents.